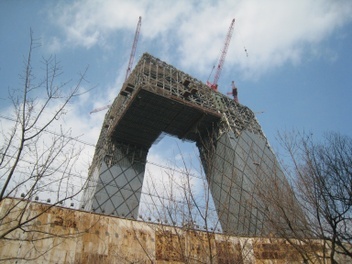 A friend in Beijing sent this remarkable photograph of construction on the robotic-pretzel tower that Rem Koolhaas designed for Chinese Central Television (CCTV). I like the juxtaposition of fantasy and dilapidation, the way it’s hard to tell whether this crazy building is being born or rusting away. Well, it took three replacement Tristans (one of whom rolled off the stage) a pair of nights that required two Isoldes, and countless doses of Sudafed, but Ben Heppner and Deborah Voigt finally made it from ship’s deck to "Liebestod" together. I had the good fortune to be at the Met last night, and I can’t remember a more consistently mesmerizing performance of Tristan und Isolde. Heppner has lost a bit of the superhero ease he once had, but with his warm, elastic voice and controlled fervor, he insinuated himself so thoroughly into the role that it became hard to imagine wanting to hear it any other way. Perhaps to show what fine form she was in, Voigt hammered the odd high note with a little more gusto than strictly necessary, but you can’t begrudge her the pleasure she takes in producing that fine, rich blang! Heppner’s and Voigt’s timbres harmonized gorgeously, and in spite of these weeks of separation, their sense of breath and phrasing merged. They sang Act II in silhouette against a luminous, abstract backdrop, their voices bobbing on the surface of a dark orchestral tide controlled by James Levine. You can have a magical Tristan und Isolde even if only Tristan und Isolde sing really well, but happily that wasn’t the case last night. Michelle De Young stepped back into the role of Brangaene, which she had planned to sit out in order to give Margaret Jane Wray a crack at it. Wray was sick (Curse you, Influenza! ); De Young was splendid. So were Eike Wilm Schulte as Kurwenal, Stephen Gaertner as Melot, and the great Matti Salminen as an especially harrowed King Marke. Carnegie Hall, which long ago outgrew its reputation for stodginess, has been commissioning a stream of new music, and now it has started to stream the music it's commissioned. I'm starting with Kayhan Kalhor's beguiling Silent City. I hope the catalog lengthens, and that the available pieces acquire some online program notes. The New Yorker, March 31, 2008. When you think of how many things could go wrong in the course of an average evening of opera—a mighty dungeon wall might totter to one side, a spear-toting extra might step on a diva’s ten-foot train, trombones of fate might bleat out of tune—you have to be a little amazed that the Metropolitan Opera and other leading houses so routinely rise to a level of dull excellence. Opera is a high-risk entertainment in which the shame of failure is heightened by the solemnity of the proceedings: the frozen attitudes of nobility and passion, the towering sets of pseudo-antique character, the expectant hush before the curtain rises. And, as singers are well aware, the hush is never entirely innocent in nature. Any true fan who claims to attend opera solely in the hope of encountering sublime displays of vocal and dramatic mastery is putting you on. Certainly, operagoers cherish those rare occasions when all variables intersect to create the appearance of perfection; but they hold just as dearly to the memory of those unmagical nights when it all falls spectacularly apart. The gladiatorial aspect of opera is as old as opera itself. No other art form is so exquisitely contrived to create fiasco. The official canon of opera debacles includes such episodes as Leo Slezak missing the swan boat in “Lohengrin” and asking, “When does the next swan leave?”; Birgit Nilsson singing Isolde opposite three different Tristans, one per act; and a heavyset Tosca jumping off the parapet and bouncing back up from a hidden trampoline (an apocryphal but irresistible story). Last season, at La Scala, Roberto Alagna wrote himself into the book of opera chaos by storming offstage after the opening aria in “Aida,” his pride wounded by scattered boos. Thanks to YouTube, such moments will live on forever, or however long YouTube lasts. 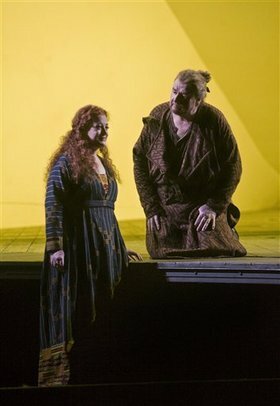 The most priceless aspect of the “Aida” imbroglio was the double take delivered by Ildikó Komlósi, the mezzo singing Amneris, as she turned around to find a replacement tenor embodying Radames, his rumpled gray blouse suggesting a change of scene from ancient Egypt to the bargain floor at H & M.
The other night at the Met, I witnessed a performance of “Tristan und Isolde” that belongs in a category of its own. For a few hypnotically awful minutes, it flirted with farce, and then it somehow righted itself, so that listeners forgot whatever backstage hysteria they had been conjuring in their minds. Despite the fact that the celebrity tenor originally advertised for Tristan could not appear, that his substitute had never sung the part, that the hyper-orgasmic duet in Act II was interrupted by an awkward ten-minute pause, and that two different women portrayed Isolde, Wagner’s masterpiece remained intact. Fans got their money’s worth: disaster and triumph in one night. There were wry grins in the audience before the performance began. It was the second night of the run; on the first, the tenor John Mac Master had substituted for the ailing Ben Heppner, and had reportedly fallen somewhat short of adequacy, facing La Scala-style boos at curtain call. Now a forty-four-year-old singer named Gary Lehman, who recently made successful appearances at the Los Angeles Opera, would have a crack at Tristan, which is often considered the most taxing tenor part in the repertory. Just after seven o’clock, Peter Gelb, the general manager, walked before the curtain, his face betraying a half-rueful, half-gleeful expression, to announce that this would be not only Lehman’s Met début but also his first attempt at the role. Let’s hope that the tenor didn’t hear the subsequent gasps and laughter. Act I came and went; Lehman survived. He is a tall, lanky, lightly bearded man who looked the part of the doomed hero. He showed a sure command of the music and shaped phrases with a feeling for the pungent rise and fall of Wagner’s poetry. His voice had a dry, slightly rough quality that turned edgy at the top of the range, but in softer, lower-lying passages he succeeded in bringing out the character’s tenderness. Deborah Voigt, as Isolde, wasn’t in her best voice, but she sailed through Isolde’s high-flying passages with her usual zest. The dynamic between the singers was fun to watch: the star guided the newcomer until he could hold his own. The first intermission ran longer than expected. Was Lehman already in trouble? 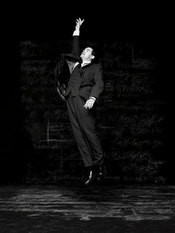 No, he launched into the huge Act II duet more confidently than before. Voigt let loose two questionable, almost shouted high Cs, but she, too, seemed liberated. Then, a few minutes into the duet, as Tristan rages against the day for taking his lover away, Voigt suddenly blanched, bent over, and dashed off the stage. Lehman, obviously confused, continued singing. The curtain descended, blocking him out completely. Even after the orchestra had stopped, there were still a few stray notes from behind the curtain. The houselights came on. A stage manager announced that Voigt had been taken ill—it was reported the next day that she was suffering from a stomach flu—and that Janice Baird, her cover, would take over. The ten-minute interruptus followed. Then the curtain rose to reveal Baird in costume, not quite beaming with excitement. An enormous round of applause from the audience must have steadied her nerves. Baird is a slender, striking dramatic soprano with a considerable reputation in Europe; she will sing Brünnhilde at the Seattle Opera next year. She, too, had never appeared at the Met. It would be unfair to compare her with Voigt, who has long been a favorite with the house. And there is surely no crazier place to begin a performance than in the midst of Act II, during the most tumultuous love scene in opera. All things considered, Baird did exceptional work. From the start, she sang with an innate sense of the long line. Although her voice tended flat for much of the night, it had a fundamentally lovely sheen, dark yet glowing. Her voice may not be quite big enough for Isolde or Brünnhilde at the Met, but it might shine in the lighter Wagner soprano roles. 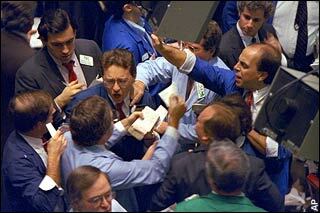 Lehman, meanwhile, maintained a subtle intensity. His voice was seldom purely beautiful, but it held the attention and never gave out, even during the gruelling monologues of Act III. In the end, he delivered an earthy, honest, and, under the circumstances, very brave performance. I’m curious to hear what he does next. He might make an arresting Peter Grimes; he already has the weathered, haunted look. As the two leads made their way through the endless Act II duet, they kept their eyes fixed on James Levine rather than on each other. You had the touching impression that the conductor was the true object of their outpourings of love. And with good reason. Seemingly unfazed by the impromptu intermission, Levine maintained dramatic momentum through the remainder of the act and thereafter to the end. He declined to tailor his interpretation to the crisis at hand and confronted Lehman with some perilously slow tempos in Act III. At times, the orchestra swamped the singers, but the power of Levine’s conception gave the evening a singleness of purpose that would otherwise have been unobtainable. He was the rock against which sparks flew. 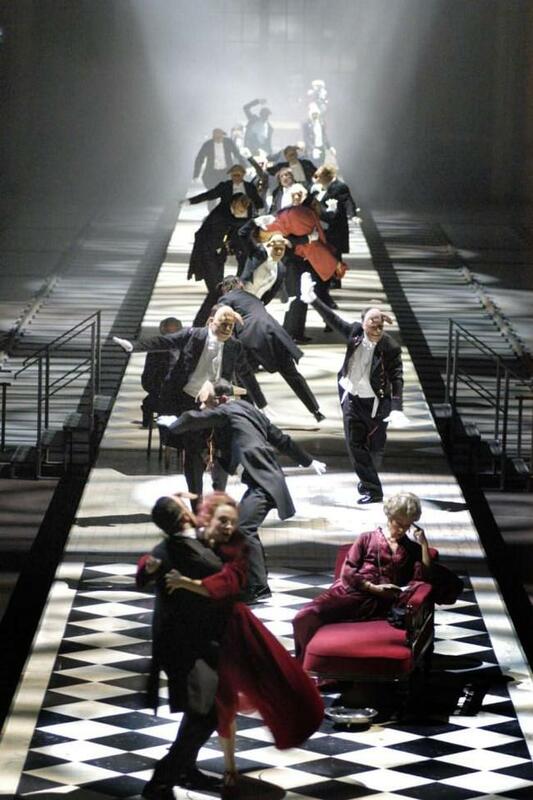 The performance ended at twenty-five minutes past midnight. In all, it fell somewhere between the Marx Brothers’ “A Night at the Opera” and “A Star Is Born,” though it was neither as ridiculous as the former nor as sentimental as the latter. The Met is an institution wealthy enough to hire richly gifted singers as covers. Whether or not Lehman and Baird go on to have major careers at the Met, they joyously upended, for at least one evening, the company’s carefully tended star system. As Gelb’s Met lays greater emphasis on marketing stars, it shouldn’t forget the primitive thrill of the unexpected, which causes the most devoted fans to return night after night. At the following performance of “Tristan,” more mayhem ensued; as an eyewitness reported on the Web site Parterre Box, a mat on which Lehman was lying in Act III suddenly coasted down the raked stage, sending him “sliding like a toboggan, headfirst upside down, right into the prompter’s box.” After another interruption, the intrepid Lehman carried on, earning himself another unscheduled eruption of applause. The central piece is Thile’s “The Blind Leaving the Blind,” a forty-minute, multi-movement fantasy that mixes the core sounds of bluegrass with jazz improvisations, Bach-style toccatas, Baroque “lamento” bass lines, whole-tone harmonies, and a couple of Straussian melodic swoons. The place is slowly being fixed up and impresarios are salivating; Gerard Mortier has plans to bring Messiaen’s Saint Francois d’Assise there. Some neighbors are less enthused, though they claim that their beef is with traffic on performance nights, not with colorful modernist music or oversize opera. A collapse in the New York real estate market will . 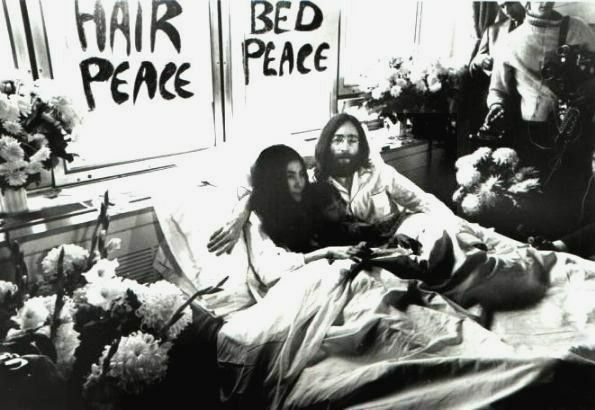 . .
b) finally produce housing in Manhattan even artists and musicians can afford. c) produce a glut of empty megamillion dollar condos, but leave regular-people housing just as scarce and expensive as ever. Rising oil prices will . . .
a) slow expansion in car-dependent suburbs, thereby concentrating growth in cities and bringing audiences closer to urban arts venues. b) force oil conglomerates to find creative ways to spend their trillion-dollar windfall, some of which will flow into the arts. c) cause worldwide panic, supplying apocalypse-minded artists with plenty of fresh material. The weakening dollar will . . .
a) raise costs of foreign travel, making it prohibitive for American orchestras to go on tour. c) give Asian and European companies a bigger bang for their sponsorship buck than they would get at home; watch for more “global sponsorships” like Credit Suisse's deal with the New York Philharmonic. 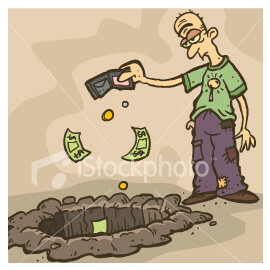 Wall St. losses will . . .
a) deprive the arts of sponsorship money and wealthy ticket-buyers, causing some organizations to go out of business and others to scale back dramatically. b) relieve visual artists of the pressure to churn out work that functions as high-priced investment tools, allowing them to go back to making plain old art. c) temporarily loosen materialism’s headlock on culture, creating breathing room for the arts. A drop in public money available for the arts will . . .
a) be partially offset by increases in spending by the National Endowment for the Arts if a Democrat becomes president. b) have little effect on major arts organizations, which reduced their dependence on government funds – and the concomitant political problems – to a bare minimum years ago. c) be devastating for small arts organizations that depend heavily on state and local grants. I have two portfolios at New York magazine: one is so-called-classical music, the other architecture. Both are intensely social, mostly urban arts that require institutions, consensus, community, patience, vision, and plenty of money. Decide today that you’d really like a new office tower and a new opera, and they’ll both start to acquire some reality around the same time, in, oh, 2012. In this week’s column, I take the Cooper Union to task for commissioning a beautiful building but neglecting the wider urban environment around it. It’s the same with many musical organizations that read their mission narrowly, see their education departments as a way to increase their own future audiences rather than foster the art form, and figure that if they give a world premiere every now and again, they have dispatched their duty to contemporary music. Developers in New York City can at least count on an activist Bloomberg administration to take a hand in the public realm. Arts organizations have only each other to leverage their efforts. The one institution that appears to take its collaborative, citywide responsibility most seriously is Carnegie Hall, which last fall fanned out across the boroughs for its tribute to Berlin and next season will head up to the Apollo Theater during a festival of African-American culture curated by Jessye Norman. The event gets under way a year from now. I wonder if it just might rate a visit from our first post-racial president? This doesn't mean that the symphony orchestras are no longer viable, or that they're about to be extinct, only that they have to do everything right. As Flanagan reports, “most orchestras cannot achieve economic stability by selling out their concert halls, or by ever-increasing marketing expenditures, or by drawing prudent amounts from their endowments, or by relying on direct government support.” (Nor, presumably, does it help to follow the opposite strategy: play less and less music and tell fewer and fewer people about them, until you’re performing a couple of encores in a darkened hall.) To stay financially stable, orchestras have to be deft and also lucky enough to inhabit the right community. A shuttered factory, a spate of crime, a surge in traffic, a beloved conductor’s departure – any of these can undercut an orchestra’s efforts at staying in the black. Of course, Flanagan limited his analysis to financial reports, which means he couldn’t evaluate the fiscal impact of musical quality or imaginative programming. That may be the secret–or at least unstudied–weapon in the fight for solvency. After all, orchestras make money in order to make music, not the other way around. The dauntless new music group Alarm Will Sound is embarking on another of its crazy projects. Having orchestrated the electronica of Aphex Twin, dispatched Varèse's Intégrales, and turned the Shaggs's implausibly incompetent–or is it sublimely virtuosic?–folk into concert music, the group has now turned its attention to the Year of Madness, 1969. It will be a while before the project gels in its full multimedia glory, but the repertoire gets its first public outing in two performances this weekend at The Kitchen. Today I sat in on a rehearsal for "Revolution No. 9," an obsessively accurate transcription of that signal event in the history of organized delirium. Suffice it to say that at one point a percussionist asked other players to move away so they wouldn't be hit by shards of flying glass. For reasons I can’t quite articulate, Philip Glass tops the list of composers whose music friends and colleagues keep telling me I really ought to love but that, in fact, I don’t. (The rest of the list is confidential, and I will neither confirm nor deny that Bruckner’s name appears anywhere on it.) However, I have become smitten with one freshly blown Glass recording: Songs and Poems for solo cello, played by Wendy Sutter. Instead of the richly layered thrumming of his orchestral pieces, which often put me in mind of a showroom full of idling Jaguars, Glass has pared his patterns down so that they sound intensely personal. Glass and Sutter reportedly fell in love over this score, and it does have a romantically melancholy tone. It’s not a conversation, though, but a soliloquy, that most unsociable of forms. Sutter has a big sound, which makes her cello seem that much more solitary–a filament of expression; a lone, repeating rune. The CD includes Tissues, for cello, percussion, and piano, from 2002, which is chamber music of a particularly stark and lonely, though eerily beautiful kind. 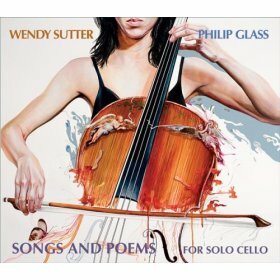 The patterns seem like stutters here: the cello keeps trying to formulate a complete thought–to connect with instruments that either keep their distance by moving along in parallel motion or shimmer in a floating harmonic halo. The director Anthony Minghella, a genuinely romantic soul, is dead at 54. Among other consequences, this leaves Osvaldo Golijov without a collaborator for the opera, tentatively titled Daedalus, that the Metropolitan Opera commissioned for the 2011-12 season. Reality-based Item No. 2: Harvard Law School announced that it would waive $40,000 tuition for third-year students who agree to spend five years working in government or for non-profit organizations. Fantasy-based Item No. 1: Harvard Business School and the Poynter Institute for Media Studies form a partnership to develop a new economic model for journalism in a post-print world. “While ink on paper is a replaceable technology, the catastrophic implosion of the news-gathering business is a threat to democracy,” the two institutions announce in a joint statement. Fantasy-based Item No. 2: Harvard Business School and Harvard's Office for the Arts create a new foundation to guide artists, filmmakers, choreographers, and composers away from more promising careers in, say, criticism. An article from the Omaha World-Herald points out that classical music is far more (relatively) popular among downloaders than it was when you could walk into an emporium, hear Karl Böhm's Brahms 4th rattling the racks, and ask for advice from an obsessively well informed young man with a beard. The article mentions e-music, which is the mother of all bargain bins, with classical fare from large independent labels such as Chandos, Harmonia Mundi, Naxos, and Koch, as well as outfits that existed only long enough to stamp a logo on a compact disc. I write a column for e-music's online magazine, so I spend a fair amount of time combing through the catalog, but I don't have a prayer of keeping pace with the flow of new additions: 365 CDs just since the beginning of March! There's a lot of chaff, of course, but the site's subscribers don't seem to have any trouble hacking through it to assert their idiosyncratic taste. The current chart-topper is the Pacifica Quartet's recording of String Quartets Nos. 1 and 5 by that easy-listening phenom, Elliott Carter. (A free promotional download helped, but still.) No. 2 is Gavin Bryars' The Sinking of the Titanic, a minimalist portrayal of slow-motion calamity that caused one Floridian subscriber's spouse to ask: "What's wrong with the player?" Move over, Bocelli. Hello, everyone. Glad to be tending to Noise again for a little while. Because of New York’s schedule, I have only just straggled into print with my Peter Grimes review, but the memory of Anthony Dean Griffey’s interpretation, which would be prize-worthy if opera had Oscars, remains fresh. One thing that I left unsaid in my piece about English-language opera was my wonderment at the profusion of singers who can deliver the gnarly diphthongs with clarity and nonchalance. Griffey and Patricia Racette dispatched some pretty thick-cut verbiage in Grimes. And before the New York Festival of Song’s double world premiere of John Musto’s Bastianello and William Bolcom’s Lucrezia, artistic director Steven Blier announced that while the audience had been provided with libretti of both, he hoped they wouldn’t get perused until after the performance. “We think we can deliver these comedies so you understand everything,” he said – and the effervescent ensemble of Lisa Vroman, Sasha Cooke, Paul Appleby, Patrick Mason, and Matt Boehler did just that. The excellent Cooke will sing Kitty Oppenheimer in Doctor Atomic at the Met next year, by the way. That’s the role that was to have gone to the late Lorraine Hunt Lieberson and that Audra McDonald declined. Over the next month I'll be traveling widely, with little time to blog. So I've again asked Justin Davidson, sometime guest-blogger, to keep the dream alive. Justin, as most know, covers classical music and architecture for New York. In 2002 he won a Pulitzer for his work at Newsday. Take it away, Justin! The Met's Live in HD broadcast of Peter Grimes on Saturday afternoon will have a segment live from the Aldeburgh Cinema, together with a BBC feature about Britten's life in the town. © 2008 Allen S. Lefohn. Click to enlarge. The above photo appears in the latest issue of Symphony, accompanying an article by Jennifer Melick. I found it a striking image, and asked the photographer, Allen Lefohn, for permission to reproduce it. 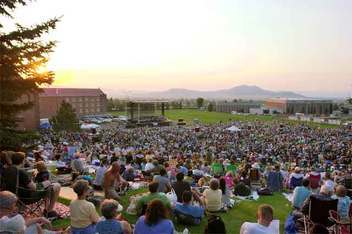 It shows an outdoor concert last summer by the Helena Symphony, in Montana. The population of Helena is 30,000; it would appear that about half that number were in attendance. This orchestra, which is led by Allan Scott, has an annual budget of under $600,000, but they don't lack for adventure; they recently played Nielsen's Inextinguishable, and they're in the middle of a Mahler cycle.